These greaves are made from heavy grade leather. Although thick, this leg protection is comfortable enough to wear all day long. 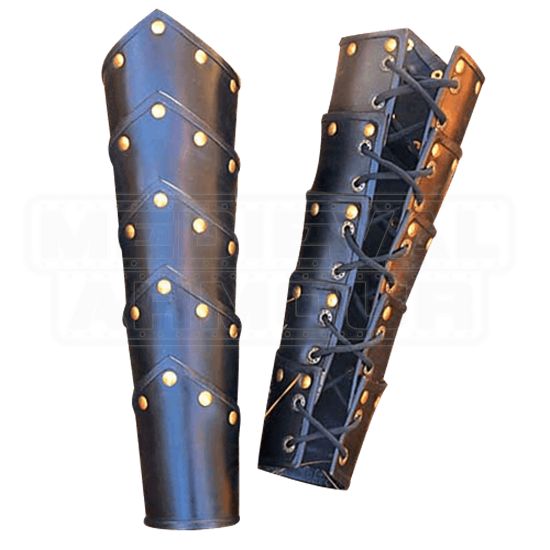 These are designed to protect the lower leg from the cut of a sword or the vicious kicking that occurred during battle. They are good for a large variety of outfits. 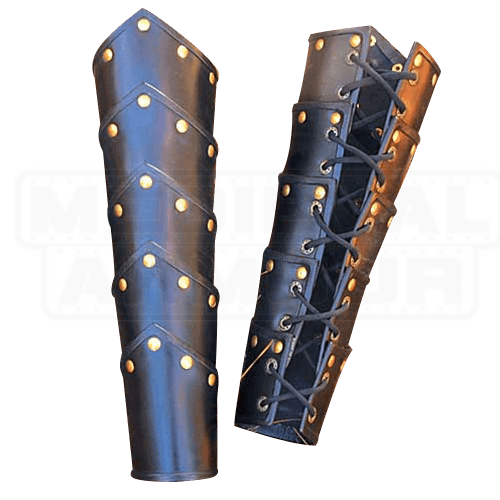 The matching Leather Swordsman Vambraces available separately.